It's time for another Exaclair product review from all the goodies I got this summer! 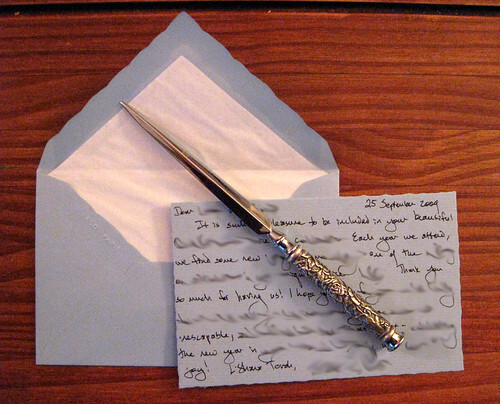 My husband used one of these before I did, for a short thank-you note, and his conclusion is that they are perfect for just that purpose... or, he said, for a letter where you have very little to say. 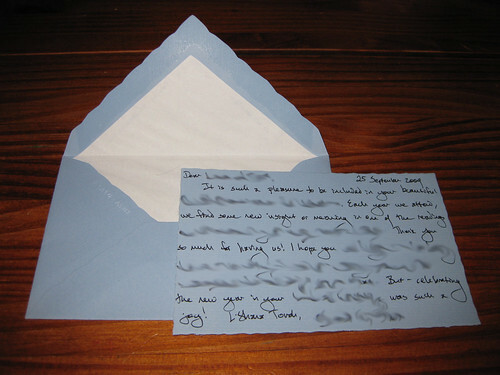 I concur about the thank-you note length - short and sweet, but obviously paper of high quality and good craftsmanship. I hope this shot lets you see the gentle texture of the laid finish. It's almost like tiny raised lines, but I don't find it at all distracting. If you have trouble writing in a straight horizontal line, the laid surface can assist as a guide. 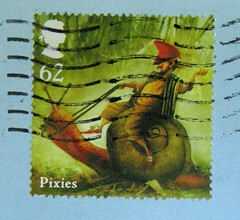 I've used very fine nibs on these and not had a problem with the texture. 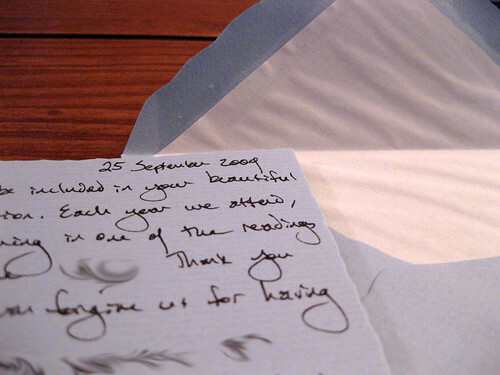 Here you can also get a nice close look at the fine tissue lining in the envelope. 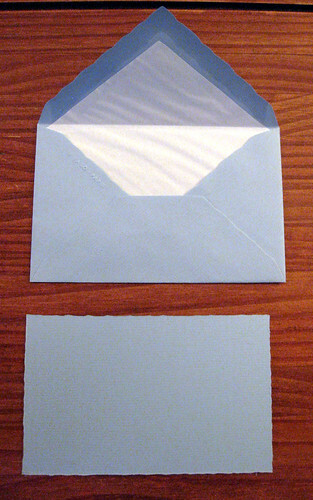 Finally, you can see a blank card with the envelope. 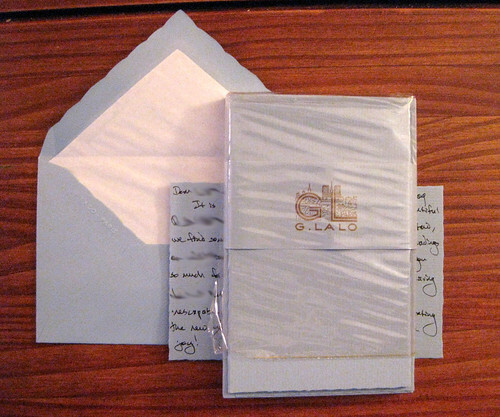 These are 3.25 x 5.25 inches, and my pack has 10 cards and envelopes with a retial price of $9. I'd rate that a very good value, at less than $1 per card, for some very high quality stationery. those are really nice and love it . I would really appreciate this as a gift . I used to give boxed sets as gifts and can hardly find those anymore so I haunt garage sales .Oh well beautifull paper and great review thanks for posting and sharing this . I just wanted to let you know that I've given you an award over at my blog.